The following is the first of a few pictures that I took while on spring break in London. 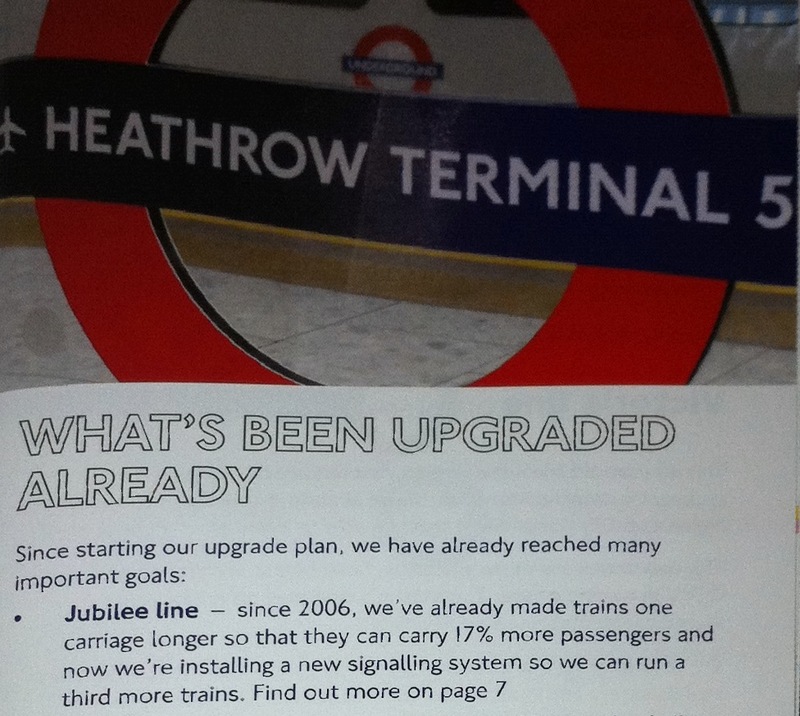 This is a flyer that is talking about the improvements to the London Underground. The Summer Olympics are coming next summer, so they are trying to increase the capacity. So, how many carriages per train are there now? and, how many more passengers can they carry per day? 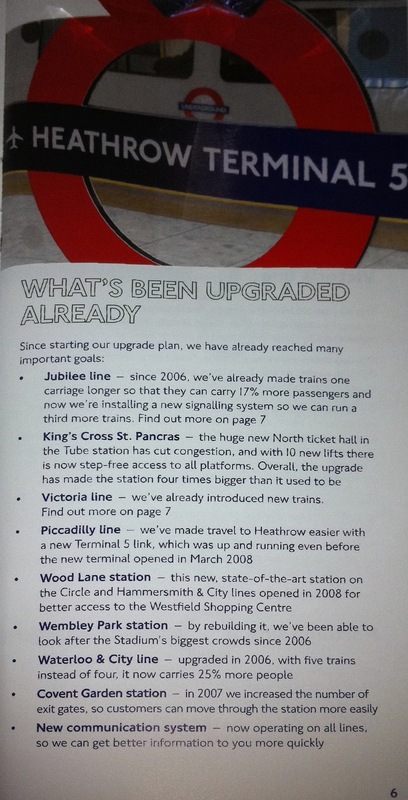 Attached is the full flyer with an easier question to answer with the Waterloo Line of the Underground.